In the EU-funded project CPVMatch, a consortium of research institutions and companies across the continent has demonstrated how to optimize both of these aspects and thus better exploit the potential of this technology. The achieved module efficiency of 41.4 % is the highest value ever measured for a photovoltaic module, the partners claim. High-concentration photovoltaic systems offer renewable electricity with the highest conversion efficiency and thus a correspondingly low use of resources especially in regions with high direct normal irradiance. In this technology multi-junction solar cells, based on III-V compound semiconductors, are used. In these solar cells, several thin subcells are stacked on top of each other in order to convert the solar irradiance more efficiently. 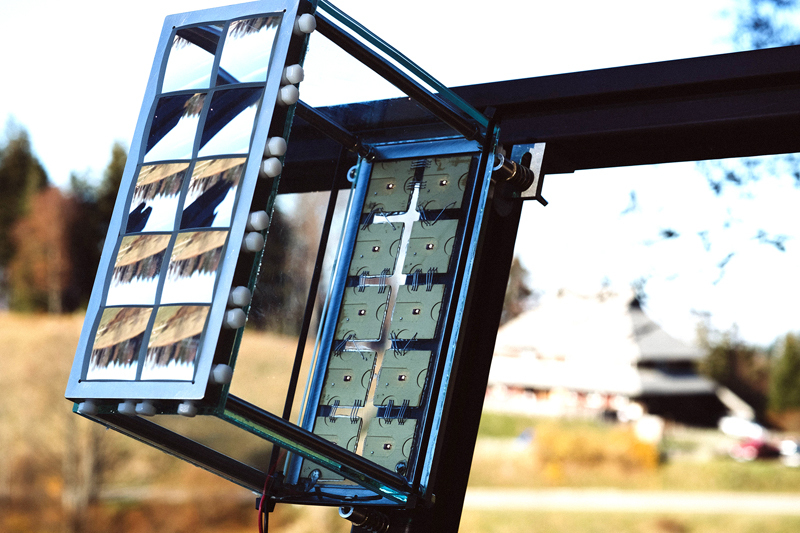 Optical lenses concentrate the incoming sunlight onto the miniature sized solar cells. The modules are mounted on a two-axis tracking system that follows the sun’s path during the day. The industrial implementation of highest efficiencies for concentrator PV modules and thus the reduction of the gap between research results and industry production were the focus of the CPVMatch project. Led by the Fraunhofer Institute for Solar Energy Systems, a consortium of research institutes and industry partners from Germany, Italy, Spain and France have worked on new solutions over the past 3.5 years to this end. “In CPVMatch, we have addressed all production steps for concentrator modules starting from the materials, through cell fabrication and production systems, and up to the challenges facing module manufacturing,” said Dr. Gerald Siefer, project head and group leader of III-V Cell and Module Characterization at Fraunhofer ISE. The project partners have achieved two major results: by using innovative cell architectures for multi-junction solar cells with new materials, processes and manufacturing equipment, the researchers were able to optimize the production of four-junction solar cells. Also, they have been able to improve the design of high-concentration modules, primarily by modifying the optics and making use of achromatic lenses. The combination of four-junction solar cells with achromatic lenses has led to the new record efficiency of 41.4 percent for a 122 cm2 module.